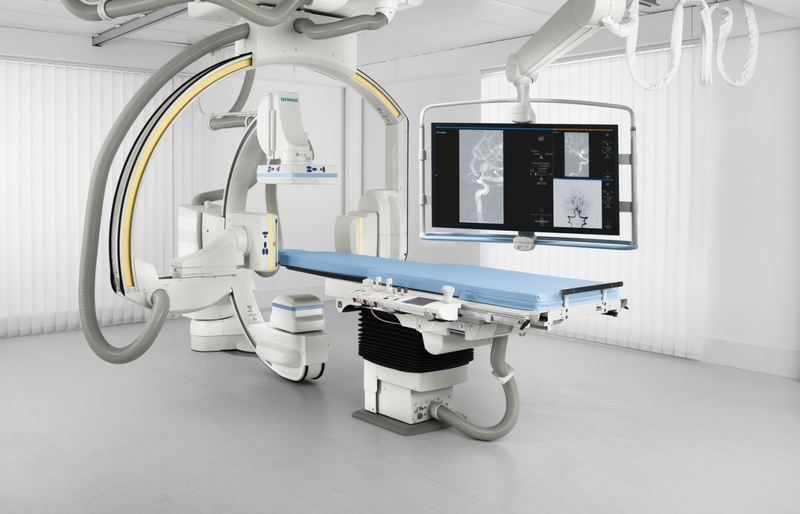 Interventional radiology is a medical specialty that uses image guidance to offer minimally invasive procedures for a variety of diseases as an alternative to traditional surgery. Interventional radiology is a solution for patients who want an alterative to traditional surgery or who are not good surgical candidates. Most procedures only require moderate sedation and patients can be discharged the same day. A blood clot is a semisolid mass of coagulated blood that forms in an artery or vein decreasing or stopping blood from flowing through a blood vessel. Once these clots form they can travel to other parts of your body causing harm to vital organs. Risk factors for blood clots forming may include smoking, prolonged immobility, surgery, certain heart conditions, high blood pressure, high colesterol, diabetes and trauma or local injury. Cancer is a genetic disease - that is, it is caused by changes to genes that control the way our cells function, especially how they grow and divide. A malignant growth or tumor results from uncontrolled cellular mitosis where the body's cells divide without stopping and spread into surrounding tissues. There are more than 100 types of known cancer, usually named for the organs or tissues where the cancer originates. Deep vein thrombosis (DVT) occurs when a blood clot forms in one or more of the veins in the body. The blood clots of DVT can be caused by anything that prevents blood from circulating or clotting normally, such as injury to a vein, surgery, certain medications and limited movement. Fibroids are abnormal growths of tissue that develop in or on a woman's uterous; they are the most frequently seen tumors of the female reproductive system and are typically benign, or noncancerous. Most women do not report symptoms, but those that do include heavy menstrual bleeding, prolonged menstrual periods, pelvic pressure or pain, frequent urination, backache or leg pain. By inserting a catheter directly into the arteries that feed the fibroids and injecting beads to block the blood supply we can ease the symptoms and bleeding. A needle biopsy is a procedure to obtain a sample of cells from tissue or fluid samples from muscles, bones or other organs such as the liver or lungs for further testing. For an alternative to pain relief, injections directly to the location can be more effective than oral medication. Typically, a steroid medication is injected precisely around the nerves to deliver a powerful anti-inflammatory to the area that is the source of pain in order to calm nerve pain. Pelvic congestion syndrome is a chronic pain caused by an accumulation of blood in the veins in the lower abdomen. The condition is found in women and causes chronic pain, often manifesting as a constant dull ache, which can be aggravated by standing. Prostate artery embolization (PAE) is a new treatment option for men with enlarged prostate glands that are noncancerous. In order to relieve the symptoms of PAE a catheter is placed in the prostate artery and beads are injected to block off arteries to the prostate. This can help men who are experiencing trouble urinating and pain with urination. Following the procedure, men can be freed of symptoms within days or weeks. A serious complication associated with deep vein thrombosis (DVT) is pulmonary embolism. A pulmonary embolism occurs when a blood vessel in the lungs becomes blocked by a blood clot that travels to the lung from another part of the body. A stroke occurs when the blood flow to a specific area of the brain is cut off. When this happens, brain cells are deprived of oxygen carried by red blood cells and begin to die. When brain cells die during a stroke, certian abilities controlloed by that area of the brain are negatively affected. How a person is affected by a stroke depends on wheer the stroke occurs in the brain and how much of the tissue is damaged, for example loss of memory and muscle control are common affects of a stroke. Lovelace Medical Center offers an accredited Primary Stroke Center with a dedicated stroke unit, neurosurgery services and 24/7 neurology coverage. Uterine artery embolization (UAE) is used to treat fibroid tumors of the uterus. Fibroid tumors can cause heavy menstrual bleeding, pain and pressure on the bladder or bowel. The interventional radiologist uses a catheter to deliver small particles that block the blood supply to the fibroid in the uterus causing them to shrink and symptoms to diminish. Varicoceles are a common abnormality of enlarged veins found in the scrotum and are similar to varicose veins. The enlargement of these veins may develop as a result of poorly functioning valves that are normally found in veins or from compression of a vein by a nearby structure. Varicoceles often produces no symptoms but can cuase low sperm production and decreased sperm quality, leading to infertility. Varicose veins are enlarged, swollen and twisted veins oftening appearing blue or dark purple in color. Veins have one-way valves so that blood can travel in one direction. If the walls of the vein become stretched and less flexible the valves may get weaker. A weakened valve can allow blood to leak backwards and eventually flow in the opposite direction. When this occurs, blood can accumulate in the vein whcih then becomes enlarged and swollen. For most, varicose veins are simply a cosmetic concern, for others they can cause aching pain and discomfort. Sometimes varicose veins may also signal a higher risk of circulatory concerns. A vertebral compression fracture occuers when the block-like part of an individual vertebra becomes compressed due to osteoporosis, trauma or diseases affecting bone. This compression fracture can cause pain in the back or neck, numbness, tingling and weakness in the extremities or a hunched-forward posture. A vertebroplasty injects cement into the spinal fracture to stabalize the bone and help aleviate pain. Vertebroplasty is a procedure used to treat and stabilize painful vertebral compression fractures in the spine. Bone cement is injected into the vertebrae that have cracked or broken and the hardened cement stabilized the fracture and supports the spinal collumn. The kidney's main job is to filter the blood coming in from the renal arteries to remove excess water, salt and waste products. The kidneys also help control blood pressure and ensure the body has enough red blood cells. Kidney cancer, or renal cancer, is a disease that first begins by forming a tumor in the lining of tiny tubes within the kidney. Benign liver tumors typically do not grow into nearby tissue or spread to distant parts of the body, but they can grow large enough to cause problems. These tumors usually start in the blood vessels and can typically be removed with surgery or tumor ablation. Primary liver cancer starts in the liver and either begins as a single tumor that grows larger or as multiple small nodules throughout the liver. Most of the time when cancer is found in the liver it started somewhere else in the body such as the pancreas, colon, stomach, breast or lung, and has spread to the liver. BiPlane imaging uses digital x-ray technology with two, flat-panel rotating cameras, providing a detailed 3D portrait of the patient's blood vessel and soft tissue anatomy. It also allows our physicians to map blood flow through the vessels in real time and quickly determine blockages or malformations. We offer the latest imaging technology and advanced functionally in our PET/CT imaging capabilities. Through the power of hybrid imaging we can enable our physicians more accuracy to detect, diagnose and treat disease. 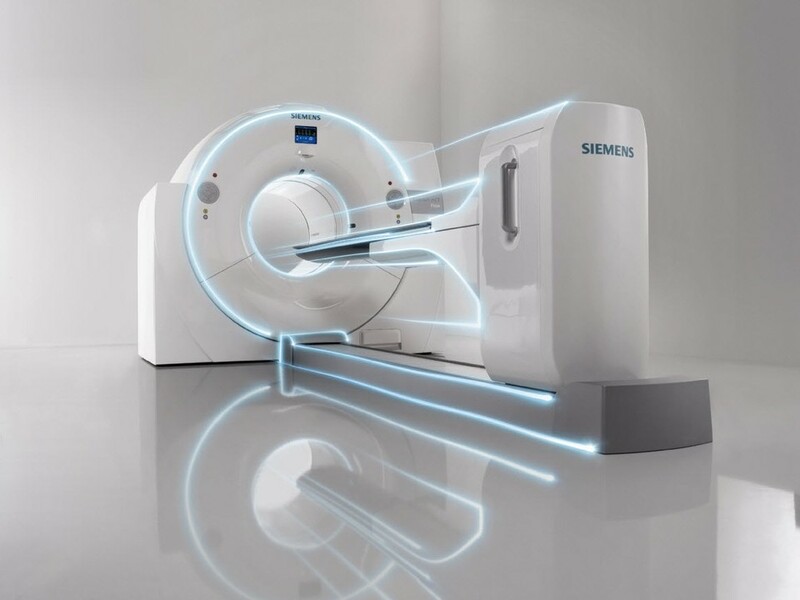 With the Siemens PET/CT scanner we can follow your progress during and after treatment to ensure therapeutic efficacy. Selective Internal Radiation Therapy (SIRT), also known as Radioembolization or Y 90, is a liver-directed therapy for inoperable liver tumors. SIRT can be combined with modern chemotherapy or administered as monotherapy. SIRT with SIR-Spheres Y 90 resin microspheres offers patients an opportunity to access radiotherapy for inoperable primary and secondary liver tumors whilst sparing normal liver parenchyma. Treatment goals for Y 90 include increasing the time to progression, extending overall survival rates, potentially downsizing or downstaging tumors for liver resection, ablation or transplantation and providing palliation of symptoms.